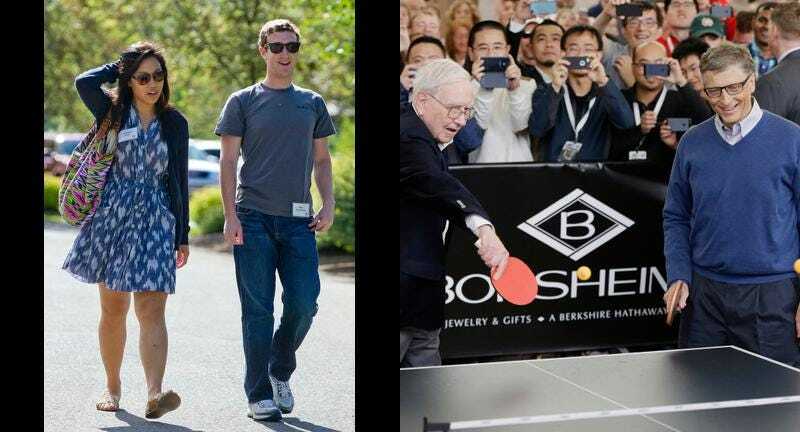 This week, Mark Zuckerberg’s $45 billion philanthropic foundation announced it is bringing on David Plouffe and Ken Mehlman, two of America’s most prominent political operatives. It is worth reflecting on the vast, vast power being wielded by the unaccountable foundations of the rich. Let’s do it! Because private philanthropic foundations generally do philanthropy, they are often regarded as straightforwardly good, or at least benign. Why should be be upset that billions of dollars going to some kind of charities? Well. The short answer is that private foundations represent private power, as opposed to public power. Even though you may feel that a particular private foundation is doing something that you view as good at a particular point in time, the fact is that they represent a structure for the exercise of private power—and the stronger and wealthier they are, the more power over public affairs is concentrated in the hands of a tiny number of extremely wealthy people. American society has always been a mix of public and private power. The pendulum swings. But if you believe in the basic ideas of democracy—power by the people, for the people—then you should generally want the important issues we face to be decided in the public realm. That means that, in some form, we all get a say in them. A world in which the U.S. government feels fine outsourcing large parts of the social safety net to private foundations is a disaster waiting to happen, because it means that the safety net is then operated at the whim of a few people with no accountability to everyone it serves. You don’t have to believe “charity is bad.” You just have to believe that little things like, I don’t know, public health should be the responsibility of public institutions, not of some guy who had a good website idea when he was 19. Since Congress is one of our most unpopular institutions, it can be hard to get people excited over this, a structural issue that aims to bring capital and its uses under more democratic control. But the solution to “those clowns in Congress” is not “turn over the whole damn system to a bunch of tech billionaires and heirs of old-timey industrialists and hope that their good nature prevails.” The solution is to fix the undemocratic parts of our system. (Kill gerrymandering! Campaign finance reform! And the other usual suspects!) Instead of begging billionaires to give their money to good causes—rather than to, say, plastering their names on various cultural institutions—it makes much more sense to tax these outrageous fortunes into the public till, then empower our elected government to spend it where it’s actually needed. Private foundations with huge resources can do a lot of good things. They are also, by their very nature, tools of the ultra-rich, exercised by the ultra-rich to fulfill the wishes of the ultra-rich. And as Mark Zuckerberg’s stable of political operatives shows, these private entities are quite comfortable influencing public policy. Not the other way around. Praying that the ultra-rich remain generous and benevolent is not what equality and democracy are about. Rich people with more wealth than they can spend have always been willing to give away money. That’s nice. Unfortunately, if we want a healthy system we’re going to need them to give up something much more dear: power.